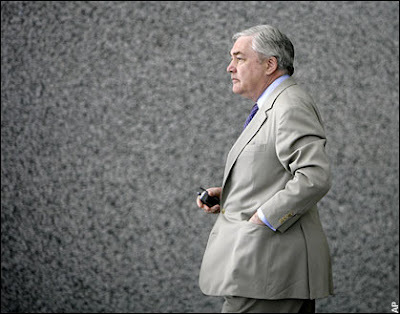 Conrad Black: Will the Canadian tycoon be spending Christmas in prison? Canadian tycoon Conrad Black finds out today how long he'll be in the slammer. Black is due to appear in a Chicago courtroom to face sentencing after his conviction in July of stealing millions of dollars from his media empire. You can read more about Black's demise in The Guardian. BREAKING NEWS: According to the Associated Press, Black was sentenced to 6.5 years in prison.